NTS has the knowledge and experience of performing Microsoft Windows Hardware Quality Lab (WHQL) testing with the latest versions of Windows, including Microsoft Windows 10, Windows 8.1 and Windows 8. You can bring your software or hardware product to NTS to be tested with any of the supported Windows Operating Systems. Are you looking to get one of the Microsoft “Windows Compatible” logos for your hardware product? Let NTS perform the Microsoft required pre-submission test procedures before you send your product in. 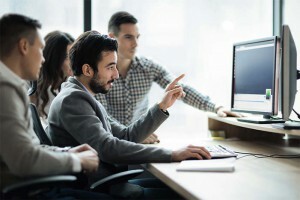 We can run the latest version of Microsoft’s Hardware Certification Kit (HCK), as well as older version of the WHQL/DTM test tools, if needed, to evaluate your product. Microsoft’s “Windows Compatible” logo indicates that a system or device meets Microsoft’s standard for hardware compatibility with the specified Microsoft Windows operating system. We are up to speed with the latest versions of the tools to help you get your products tested and certified for Microsoft Window 7, Windows 8, and even Windows 10, Microsoft ARM-based operating system version. NTS takes the headache out of Microsoft logo testing! The purpose of WHQL testing — beyond simply the opportunity to place the Windows logo on your device — is to demonstrate that all drivers used by your hardware or software can be run without any compatibility issues. To do this, devices are repeatedly stress tested in an effort to identify the installation and power management issues that can lead to failure. Repeated installing and uninstalling in different orders and configurations is a key component of testing. Your device will also be tested in sleep mode to assess its ability to manage power effectively. NTS can perform these and other tests on all applicable devices. We will work with your team to determine the best sequence of QA and compliance checks that can expedite your path to WHQL certification. We also perform basic tests for compatibility, functionality and overall usability. Testing is performed based on the Microsoft Hardware Certification Kits (HCK) standards, and NTS performs testing for all HCK test categories. Using the latest pre-submission or self-test procedures, NTS will perform HCK testing and verify your product is compatible with Microsoft Windows (e.g., Windows 7, Windows 8, Windows 10, etc.) and help you complete the necessary paperwork required by Microsoft. We also can assist you in getting valid digital signatures for earlier versions of Windows, such as Vista. NTS HCK testing includes quick turnaround, issue resolution and flexible cost structures. Just a reminder – if you’re going to be looking for Microsoft HCK logo of a USB device, you’ll also need to make sure your device has been USB certified. As an authorized USB certification provider, we can provide you with a single testing solution to your USB and HCK testing needs. The Windows logo is something customers around the world know and trust — having your device WHQL tested and certified is an important measure of quality that is essential in a crowded marketplace. 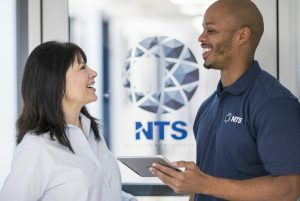 At NTS, we have a long history of helping software and hardware developers create more foolproof, efficient and marketable devices. Contact NTS today to find out how we can help you get your product tested for the Microsoft Windows logo.